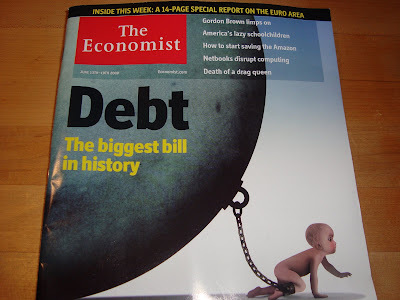 Public debt: the biggest bill in history. THE worst global economic storm since the 1930s may be beginning to clear, but another cloud already looms on the financial horizon: massive public debt. Across the rich world governments are borrowing vast amounts as the recession reduces tax revenue and spending mounts—on bail-outs, unemployment benefits and stimulus plans.